South Cotabato 1st district Rep. Pedro Acharon Jr.
South Cotabato 1st district Rep. Pedro Acharon Jr. has vowed to pursue in the next 16th Congress a measure seeking to grant local government units (LGUs) the power to regulate the operations of motorcycles-for-hire in their areas of jurisdiction. Acharon said he intends to re-introduce House Bill 39, which aims to regulate the business operation of motorcycles-for-hire and protect both the operator and the riding public. “It is common knowledge that in many areas in the country, the only mode of transportation is the motorcycle-for-hire. Although commonly accepted as a means of public transport in many areas, motorcycles-for-hire are not registered thus their business operations are illegal and are not covered by any kind of insurance,” Acharon said. 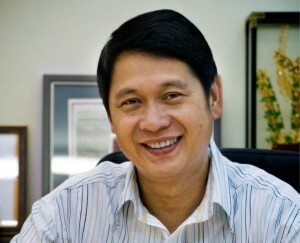 Acharon, who won in his reelection bid against his closest opponent, Ruel Pacquiao, brother of People’s Champ, Rep. Manny Pacquiao (Lone District, Sarangani), said the proliferation of motorcycles-for-hire as a means to transport passengers or goods is detrimental to the riding public because passengers cannot claim any benefit or reimbursement for medical expenses in case of accidents. “Regulating the business operation of motorcycles-for-hire will give operators the authority to register their motor vehicle as a public transport and are obliged to be governed by the law on common carriers,” Acharon said. Under the bill known as the “Motorcycles-For-Hire Act,” the municipality or city shall receive, process and evaluate all applications for the grant of franchise to operate motorcycles-for-hire within their territorial jurisdiction. Acharon said all applications, which met the requirements needed for the granting of a franchise, should be endorsed to the Sangguniang Bayan or Sangguniang Panglungsod for issuance of franchise and a “for hire” license plate. Motorcycles-for-hire are prohibited to operate, except to cross, along the national highway or on any road which allows a maximum speed greater than 40 kilometers per hour. The LGU with jurisdiction over the roads may limit and fix the routes. A maximum fine of P5, 000 shall be meted the owner who fails to register the motorcycle-for-hire and impoundment of the motorcycle until registered.